Glass is such a versatile material! I work mostly in stained glass, doing panels for installation mainly in private homes. 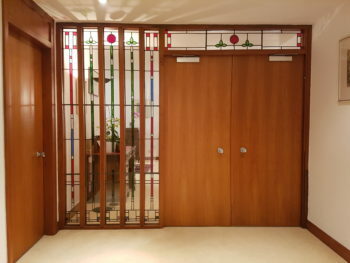 A recent installation was inspired by Charles Rennie Mackintosh, Frank Lloyd Wright and a touch of Mondrian. I plan to experiment more with fused glass and copper oxide.